Original owner and custom designed. 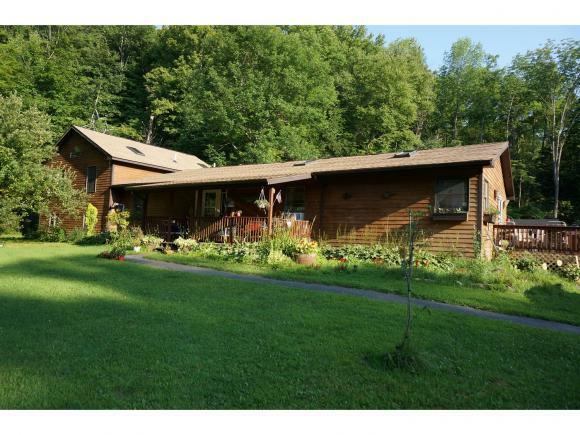 Contemporary ranch near a scenic trout stream and only a 6 mile drive to Ithaca. Stunning updated kitchen with rich cherry cabinets, granite counters, travertine tile, skylight and breakfast bar. Open living-dining room with hardwood floors, skylight and a gas fireplace for added ambiance. Main floor offers 2 bedrooms including a private guest suite. Spacious 20 x 16 master bedroom with vaulted ceilings, hardwood floors and bath with jetted tub. In-floor radiant heat, 2 tier rear deck with hot tub, side deck and covered porch. 24 x 28 outbuilding for shop. Newfield Elementary School Pre-School, Elementary School / Public 3 3.05 mi. Newfield Middle School Middle School / Public 3 3.05 mi. Newfield Senior High School High School / Public 5 3.05 mi. Eac Montessori School * Pre-School, Elementary School, Middle School / Private N/A 4.64 mi. Ithaca Waldorf School * Pre-School, Elementary School, Middle School / Private N/A 3.8 mi. South Hill School * Pre-School, Elementary School / Public 5 6.47 mi. 12 BROWN ROAD, Newfield, NY 14867 is a 3 bedroom, 3 bath single family home was sold for $229,500.